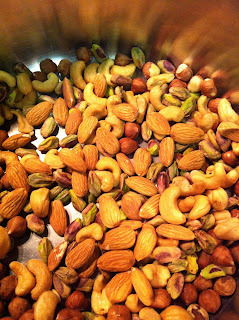 During my journey with Paleo, nuts have been a staple in my diet. 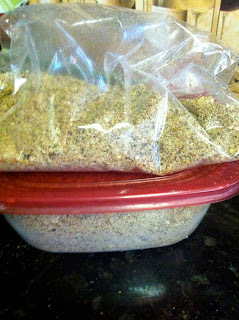 When eaten raw or dry roasted (dry-roasted at home, not purchased as roasted/salted), they are exceptionally nutritious. 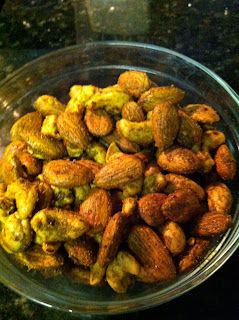 So, today I’d like to show you two recipes showcasing nuts as a sort of condiment, and nuts as a snack. 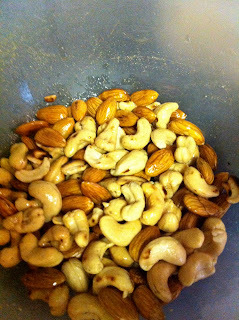 3/4 cup cashewsIt’s easiest I think to roast all the nuts in the oven first, until they are golden brown. I do this on a sheet pan at 350° until they turn color. Be sure to watch closely, they will burn fast. 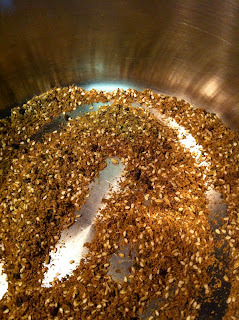 While the nuts are toasting in the oven, toast the herbs, spices, and seeds until they are brown/toasty/aromatic. Allow each of them to cool completely. 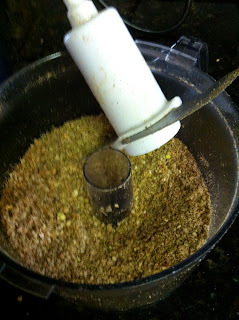 Place the nuts and seeds, along with the mint and salt, into a food processor and pulse into a coarse consistency. Toast the nuts in the oven or in a skillet until they are golden brown. 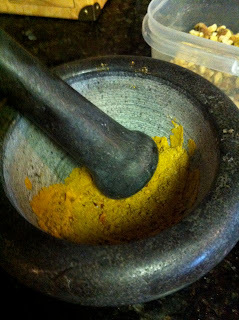 Place the spices in a mortar and pestle and grind to incorporate the curry and the red pepper flakes. 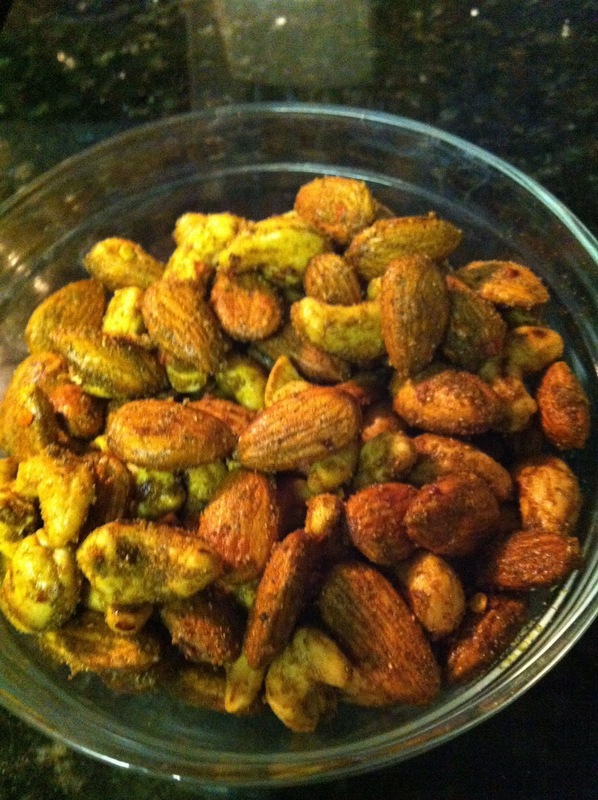 Drizzle 1 Tbs coconut oil over the toasted nuts and then sprinkle the curry powder mixture over it. Stir with a spoon to coat the nuts completely. Bag them up and sneak them into any sort of function where the food options are limited/non-Paleo!! This way, you won’t starve–you eat clean–no matter what, you win–you might be/or eventually be the sexiest person in the room. #truth! This entry was posted on March 19, 2012 by cavegrrl. It was filed under almonds, cashews, paleo, Recipes . The cashews were a great snack. In fact I almost couldn’t stop eating them. Thank God Kristy didn’t give me a large supply of them. 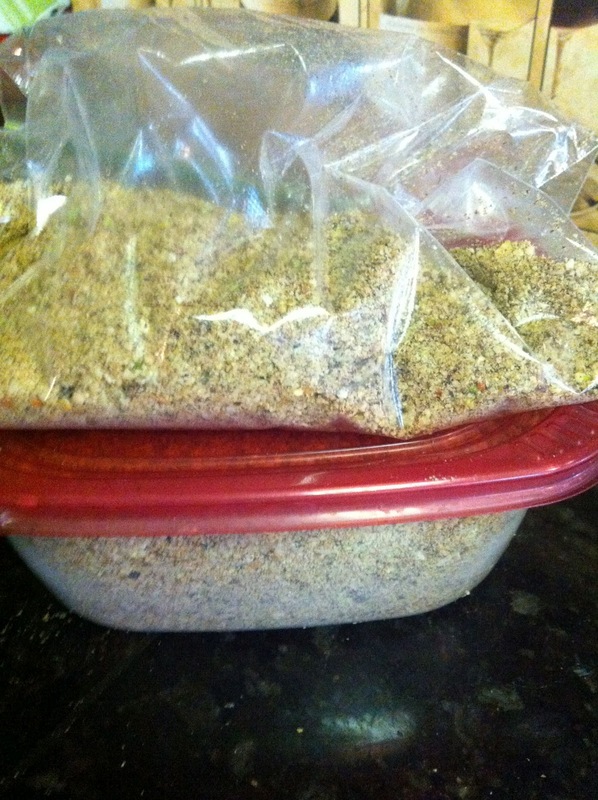 The dukkah is probably the all-time great seasoning for your vegetables, especially if you’re a fan of Indian food, like I am. The above recipe features a really nice balance of spices and nuts which will lend an incredibly satisfying flavor to your veggies. It also works really well with eggs and omelets.